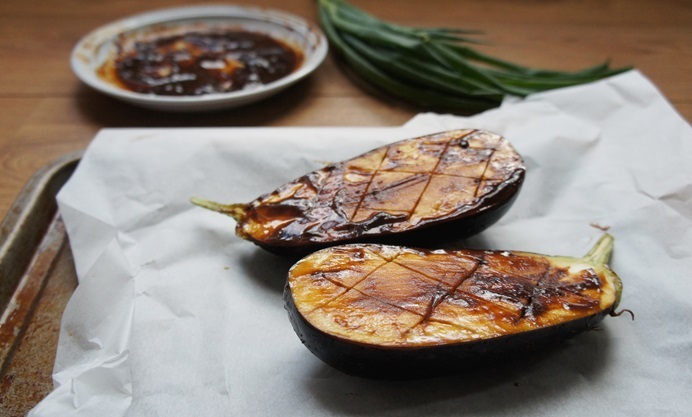 Miso and aubergine are a match made in heaven – particularly when the aubergine in question is marinated in punchy hatcho miso, the darkest and most flavourful of all miso pastes. 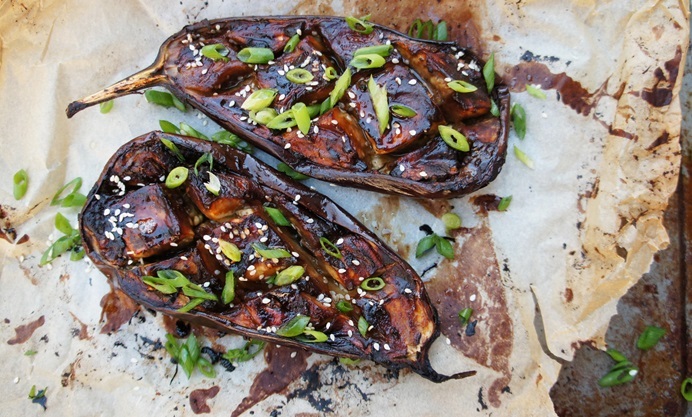 with a touch of honey to sweeten the deal, this baked aubergine recipe is a great side dish, particularly when served with fluffy rice. 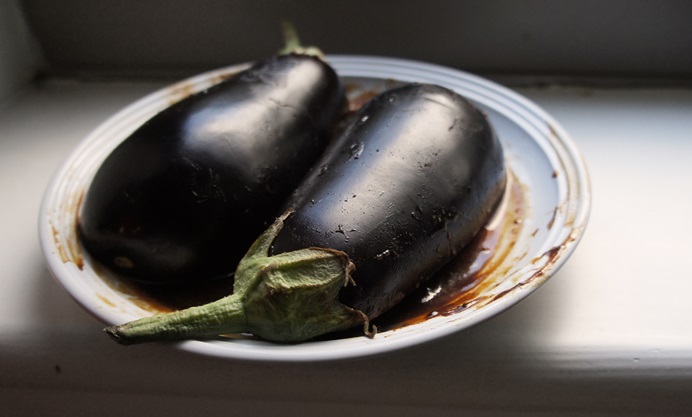 The soft flesh of an aubergine is a perfect sponge for soaking up the flavours of whatever sauces and seasonings it is cooked with. This versatile honey miso marinade is one of my favourites. It’s a delicious combination of sweet and salty; and also ridiculously easy to make, consisting only of three ingredients. 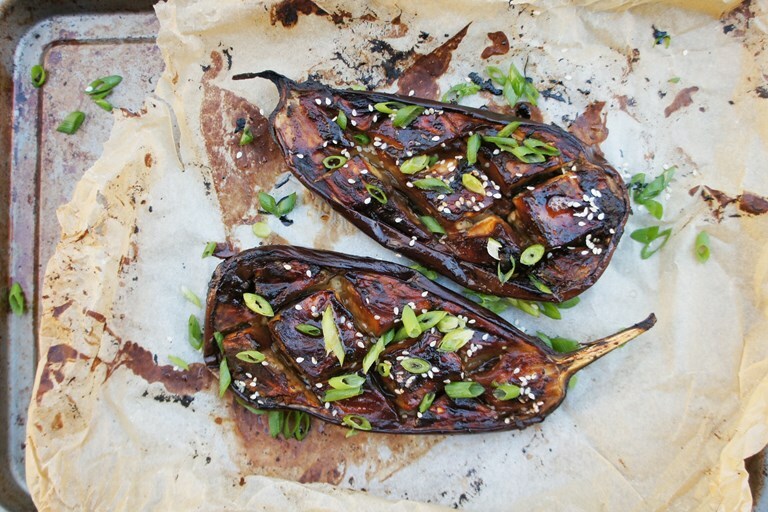 Simply chuck the aubergine into the marinade and then roast it in the oven until its flesh is tender and beautifully caramelised. The meaty aubergine quite happily takes on the strong flavour of hatcho miso, but other types of miso will give good results too.